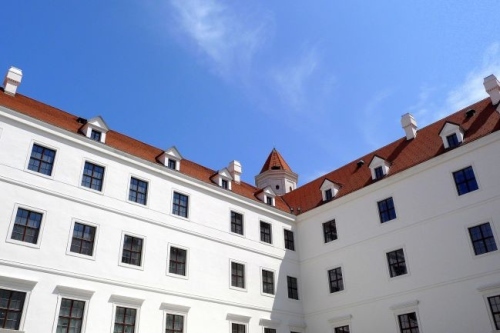 As part of a €126million renovation project, the 1,600 square foot courtyard at the center of this historic castle was redesigned and covered with natural stone. Large tiles were originally laid on a mortar bed, but for years water had come up through the joints in the substructure, penetrating the seal, leading to efflorescence and frost damage. 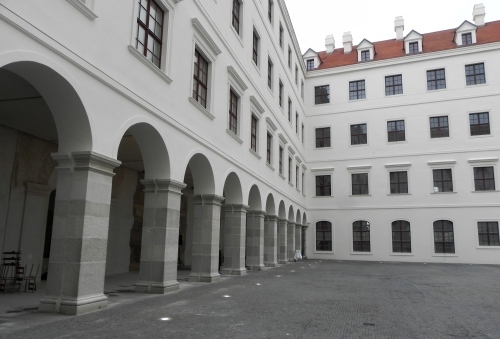 In order to protect the small-sized granite paving selected for the courtyard redevelopment, a drainage system was required to quickly remove standing water to prevent water staining. 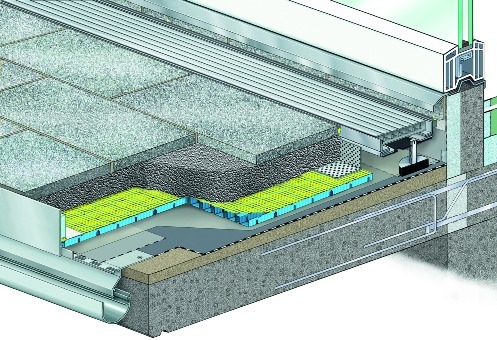 Gutjahr proposed the laying of the AquaDrain EK capillary passive drainage system with drainage mortar to provide rapid drainage. 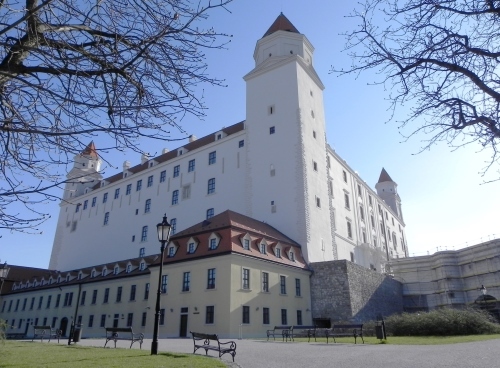 Thanks to Gutjahr, visitors from around the world can now enjoy this symbol of Slovakia without getting wet feet.